Display: Natural Textbook Display“ Natural V.P.A.M. Featuring the latest Casio classwiz Non programmable scientific calculator fx 991 ex plus which feature high resolution display for more data on display, Online QR code visualization to help you do more via Graphical representation, numerical representation or taking help to do more. Metallic finish keys with colorful coding for better functionality as well a faster processor and twice the memory size makes sure of speedy calculations. 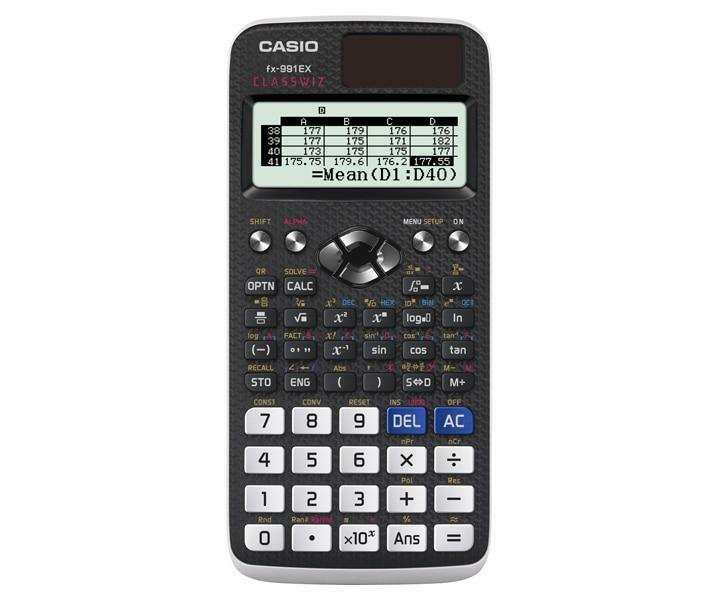 Casio classwiz fx 991 ex non programmable scientific calculator is made for you. Become your Classwiz ! - making it easier to view numerical formulas and symbols. The new ClassWiz makes it possible to display on the screen twice the number of characters in normal size and six times the number in small size compared with previous models. High-resolution LCD drives further evolution! Higher resolution increases the amount of information that can be displayed and improves usability. In addition, ClassWiz is equipped with a basic spreadsheet function for creating spreadsheets with up to 5 columns and 45 rows (maximum of 170 data items). The use of icons on the menu screen improves viewability. Selection of the desired function is quick and easy. Nearly all English words are displayed on the screen in unabbreviated form. Interactive menu display realizes more intuitive operation. A special surface process applied to the body results in an elegant texture and design. The stylish look and feel of metal imparts a sense of luxury. The functions assigned to keys are color-coded to facilitate key operation. The key notation, like the display format, uses signs and symbols like those found in mathematics textbooks. This natural interface makes input fast and easy. The thin, smoothly rounded body fits the hand perfectly. ensure speedy operation and superior computational power. Variables and statistical calculation results stored in memory can be displayed in lists. There's no need to recall and confirm individual values as with previous models. ClassWiz contains calculation functions that support even advanced mathematical operations, including spreadsheet calculations, 4 X 4 matrix calculations, calculation of simultaneous equations with four unknowns and quartic equations, and advanced statistical distribution calculations. This function makes it possible to perform several different types of distribution calculations such as binomial probability. This function makes it possible to perform matrix calculations of up to 4 rows by 4 columns. The input formula and data are converted into a QR Code matching the settings on the calculator, then displayed on the calculator screen. Display numerical formulas and graphs and use them in study by reading QR Codes with an application on a smartphone, tablet, or other similar device. 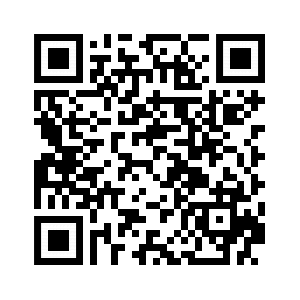 Convert the numerical formula into a QR Code!